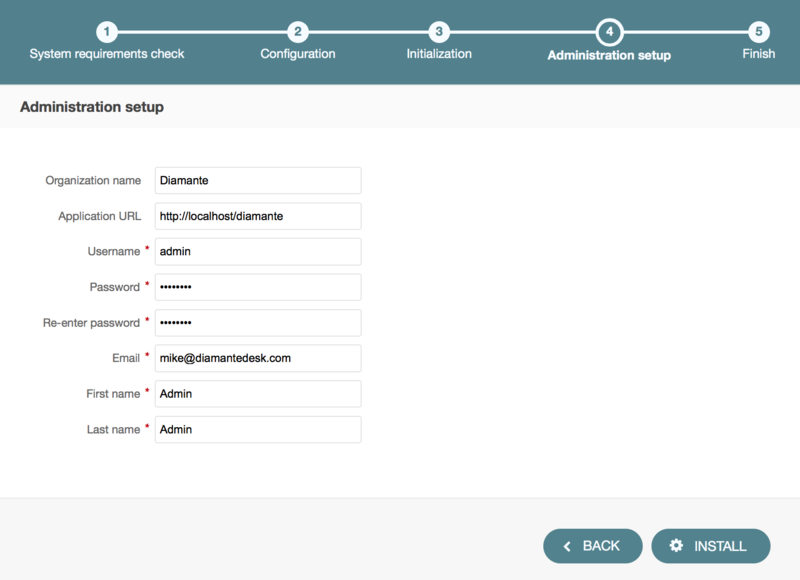 DiamanteDesk may serve as an independent end-user application or as an extension for OroCRM. In the nearest future it will also be available for other CRMs. 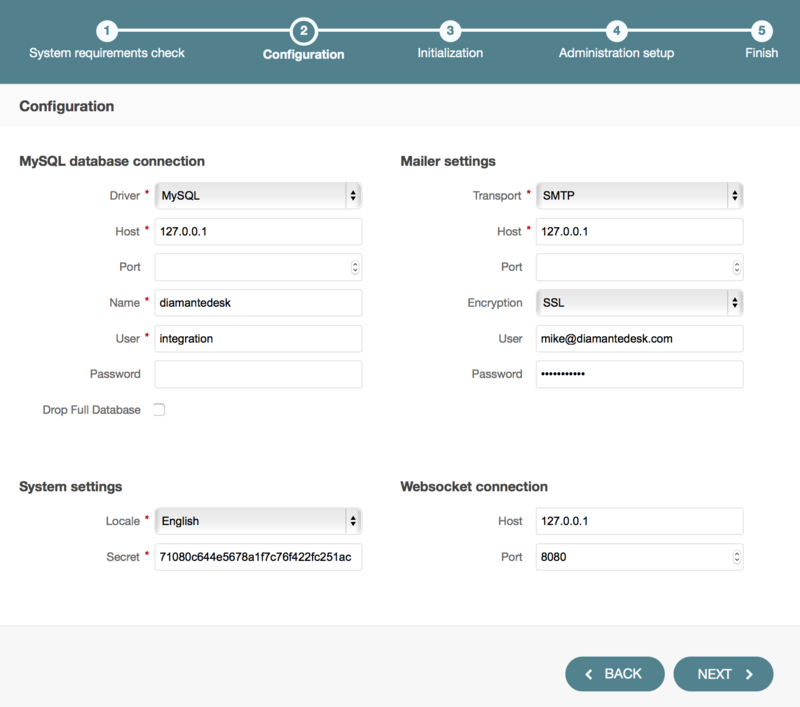 To install DiamanteDesk you also need to setup MySQL database server with an empty database that will be used later on. Note: DiamanteDesk application makes heavy use of HTTP methods in RESTful calls. The server can be configured to block some of them (for example, PUT, DELETE, etc.). However, this limitation should be removed, otherwise, a certain part of application will not function properly. 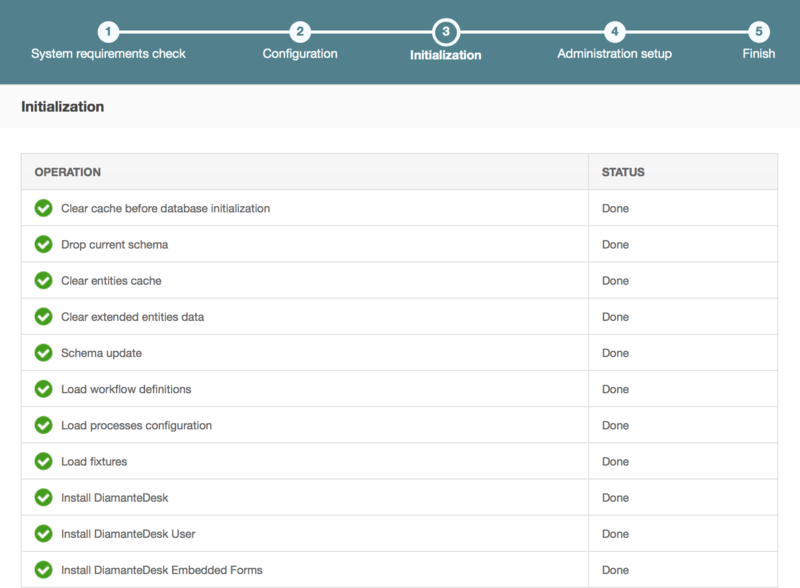 DiamanteDesk uses Composer to manage package dependencies. Use this link to download it. You should use maximum version 1.0.3. All the following examples are be based on the assumption that the composer have been installed globally. Download DiamanteDesk application from GitHub. When DiamanteDesk installation screen opens, click Begin Installation. Click Next and the installer will initialize your database. The list of tasks and the progress on their performance will be shown.